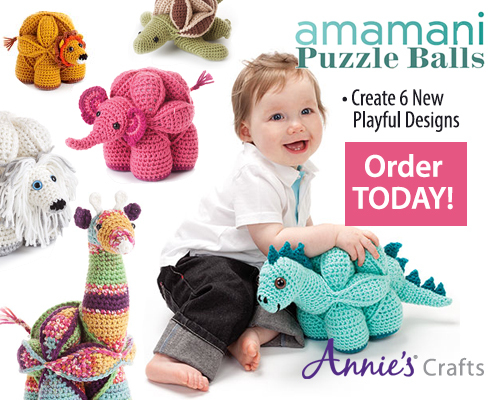 New free crochet pattern just in time for Valentine’s Day! 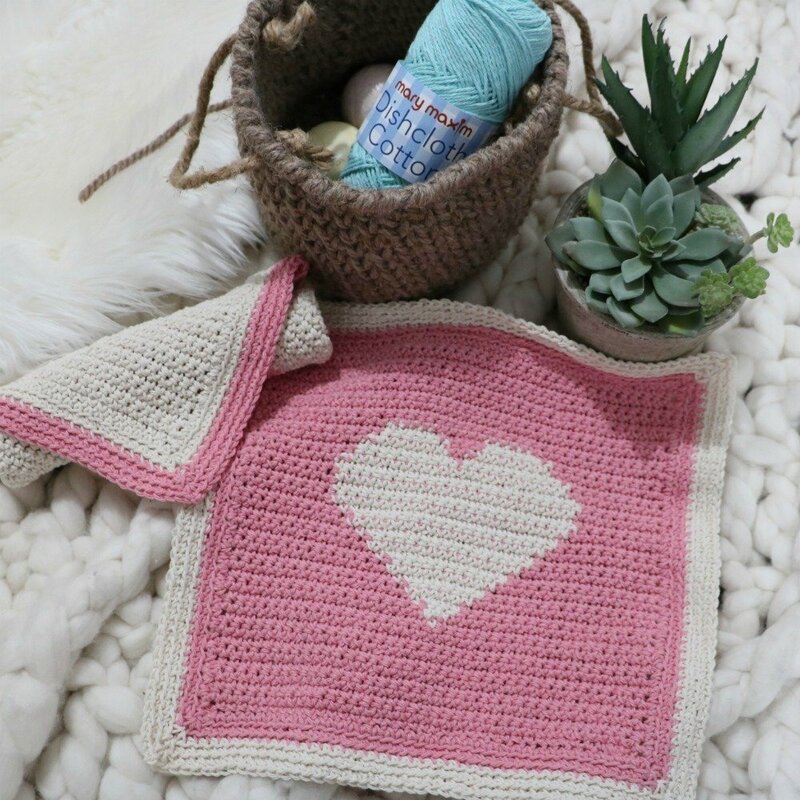 This Heart Dishcloth or Spa Cloth is a great gift idea. I decided to make up spa gift baskets for my girls filled with bath bombs, chocolates , face masks and body wash. Adding some handmade spa cloths and face scrubbies just add that personal touch. I also made the baskets and you’ll be getting that pattern and the scrubbies for Free soon! I’ll link as soon as they’re ready. I received these beautiful little balls of Dishcloth Cotton from Mary Maxim. They have so many great colours to choose from go check them all out HERE. For this project you will need 2 balls and you’ll get 2 dishcloths in reverse colour as shown. So lets get right into the pattern and what you’ll need to get started! The dishcloth is worked from the bottom up and is then finished with a border. When changing colors, work last yarn over of last stitch with next color. Turning ch-1 does not count as a stitch. Carry MC yarn not in use through heart detail. Drop CC when not in use with the exception to rows 27-29 carry CC only through these Rows for heart detail. Row 1 (RS): With MC ch 40, work 1 sc in 2nd ch from the hook and in each ch across, turn—39 sts. For the following Rows; Ch 1 a the beg of every row, work 1 sc in each of the following sts changing color as indicated. Rows 30-39: (MC) x 39. Don’t fasten off. Round 1: Ch 2, work 1 sc in same st (39th st Row 39) corner made, turning down side of cloth work 1 sc in each sp across (1 sc/row) to next corner, *in corner st work (1 sc, ch 2, 1 sc), work 1 sc in each st to next corner; rep from * around until reaching starting corner, sl st in corner to join. Round 2: Ch 1, work (1 sc, ch 2, 1 sc) in corner, work 1 sc in the blo of first st and in each st to next corner, *in corner ch-2 sp work (1 sc, ch 2, 1 sc), work 1 sc in the blo of each st to next corner; rep from * around until reaching starting corner, sl st in sc to join. Change to CC, sl st into corner, Cut MC. Rounds 3-5: Ch 1, work (1 sc, ch 2, 1 sc) in corner, work 1 sc in the blo of first st and in each st to next corner, *in corner ch-2 sp work (1 sc, ch 2, 1 sc), work 1 sc in the blo of each st to next corner; rep from * around until reaching starting corner, sl st in sc to join, sl st into corner. After last Row fasten off and weave in ends. For gifting or display fold cloth. Lay dishcloth out WS facing in diamond shape. Fold in side corners pointing to centre. Roll up the bottom corner to top corner. Tie in a bow with twine for a rustic touch. To add some texture and scrubbing ability to your dishcloth / spa cloth try using Bernat Handicrafter Scrub off by Yarnspirations! While running into Walmart for an errand I spotted this yarn and instantly had to have it! It was the perfect yarn to make face scrubbies. I decided to whip up a dishcloth for my mom and add it to her Birthday gift.